Talia practices in the areas of subrogation and commercial litigation, as well as defence of both bodily injury and property damage claims for international corporations and retail clients. Her main areas of focus include construction-related litigation and contractor’s negligence, property damage, occupier and product liability, auto defence and fire claims. In addition, Talia assists senior lawyers with complex litigation including catastrophic personal injury claims, professional liability, shareholder remedies and real estate litigation matters. Prior to joining MCR LLP, Talia articled at a mid-sized insurance litigation, business and employment law firm in Toronto. 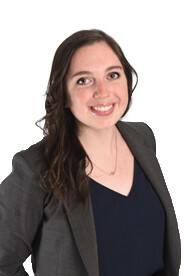 While articling, Talia was Co-Chair of the Articling Chapter of the Women’s Law Association of Ontario, where she now sits on the Young Lawyers Chapter committee. Talia is active in other aspects of her community, including sitting on planning committees and professional chapters of international and charitable organizations. Talia received her Juris Doctor from the University of Windsor Law School in 2014. While at Windsor, she participated in mooting competitions and advocacy training and did an exchange program at Monash University in Prato, Italy. Talia was on the Students’ Law Society for two years during her time in Windsor and launched a peer tutoring initiative, earning her an award for outstanding contribution to her law school community.